Well, he’s done it. 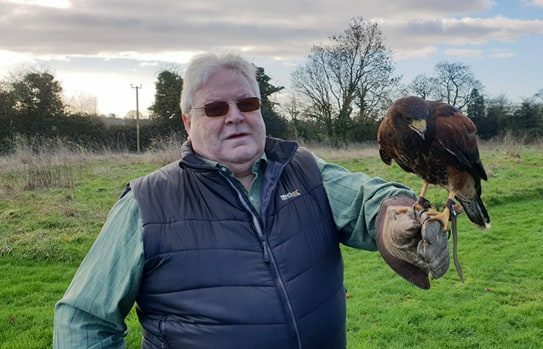 My little lad has taken to the skies on his first Hawk Walk for our clients. Last week we were visited by Alison and her husband Dave. Alison had bought the Gift Voucher for him as it’s something that he’s always wanted to do. They were very patient with Eivin who was shown the ropes with the help of Steve. Despite a bit of calling from Eivin he flew very well and landed beautifully on our clients gloves.